Regardless of the natural resource sector in which we work (i.e., agriculture, forestry or fisheries), we are all guided by a common set of governance principles. These principles may include commitments to sustainable modes of resource management, protection of biodiversity, or participation of stakeholders. But are these principles recognized and valued equally? Are some principles preferred and reinforced, while others are left to languish? A recent analysis conducted by Song and colleagues  illustrated that social principles, specifically gender and human rights, are rarely included and ill-defined compared to others. In the case of coastal fisheries, for the most part, there is strong international consensus around the governance principles that guide best practice. Arguably, the most common governance principle is the participation of fishers in management decisions. This is well aligned to co-management, specifically community based resource management (CBRM), which has gained significant traction in national fisheries policies and implementation over the last decade. Another salient principle is gender equality. Globally, we are witnessing unprecedented commitment to and investment directed towards addressing gender inequality in coastal fisheries. This is illustrated by the Voluntary Guidelines for Securing Sustainable Small-Scale Fisheries, which acknowledge gender equality as a fundamental and integrated governance principle. Yet, despite these high-level commitments, a recent Australian Centre for International Agricultural Research funded study showed that in contrast to fisher participation (achieved through CBRM), gender equality as a principle has been poorly incorporated in coastal fisheries governance in the Pacific Islands. If we universally agree fisher participation in management and gender equality are fundamentally important principles that should guide national approaches to coastal fisheries governance, why is one widely adopted, and the other not? In this study, Song and colleagues offer a rare comparative insight into the adoption of different coastal fisheries principles. Specifically the study examined how two supra-national coastal fisheries instruments (one global and one regional) aligned with national policies in Solomon Islands, Kiribati and Vanuatu as a means to assess the respective fisheries ministry’s predisposition towards adoption of governance principles. The authors contend the degree, or the speed at which, different principles are adopted can be attributed to how these commitments are received and internalized by national actors. In other words, despite their appearance, policies are not always an objective, rational medium. The biases and histories of national-scale actors influence the design, and application of policies, favouring certain principles but not others. This study found that national policies poorly represent gender equality, despite being a key principle in the supra-national policy instruments. Gender was only referenced in three of the fifteen national-scale policy instruments, and was absent in all policies from Solomon Islands. 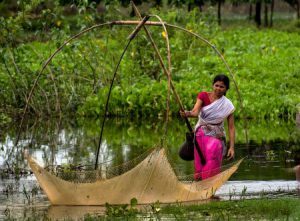 The interviews with fisheries managers of the three countries illuminated relative ambivalence to the idea of gender equality. As a comparison, the authors found understandings of CBRM to be more established and concrete than gender equality. They attributed this prominence to these countries having dedicated CBRM units, and access to financial and technical support. However, perhaps the most revealing reason for CBRM being institutionalized in all countries was that national-scale actors had been involved in the formulation of regional fisheries policies that articulated CBRM, and interacted closely with regional bodies in developing policy and then translating it into community fisheries practice. Consequently, CBRM was a product of contextualized policy instruments, and had brought a strong sense of national ownership, and perceived in-country relevance. This raises several important questions. Is it possible the integration of gender equality in fisheries policies has seen little progress because, to date, this has been a top-down endeavor, not embedded in local circumstances, or a reflection of the voices of national-scale actors? Or, perhaps gender equality commitments are intangible and non-context specific? Or to put it simply, is gender equality just not valued as a governance principle by national-scale fisheries actors? In understanding why some principles spread more than others, this research suggests an attention shift from the promoters of policies (i.e., international organizations, NGOs and donors), to the users of policies (i.e., national-scale actors, local implementers/champions). We need to be more aware of the individual ideals of national-scale managers and practitioners and the role they play in shaping the extent of gender integration in fisheries policy and practice. This could involve increasing fisheries actors’ patchy exposure to gender equality, but also working toward more inclusive processes of policy formulation where national-scale actors feel ownership and relevance of policies to their work. Such a process may also lead to more tangible understandings of what gender in policy and practice actually means. Of course, it would be naïve to assume maximum or unanimous agreement around the meaning of gender equality in fisheries. However, rather than gender being pursued as a donor requirement or a quest for organizational legitimacy, we should take the time to reflect on the deeper (or idiosyncratic) understanding of gender equality, by paying closer attention to our own and others judgements, aspirations and convictions. As this study illustrates, individuals may not always elicit similar meaning. However, by being sensitive to differences in exposure and understanding of policy principles we may open up space for context specific translation of key principles into practice. “Multi-scale policy diffusion and translation in Pacific Island coastal fisheries” by Andrew M. Song, Philippa J. Cohen, Quentin Hanich, Tiffany H. Morrison and Neil Andrew. In Ocean and Coastal Management (2019) 168:139-149. This work was undertaken as part of the CGIAR Research Program on Fish Agrifood Systems (FISH). This work was supported by the Australian Government and the Australian Centre for International Agricultural Research through project FIS/2016/300, and the Australian Research Council through the ARC Centre of Excellence for Coral Reef Studies. This entry was posted in Gender, Marine Fisheries, Men, Women. Bookmark the permalink.